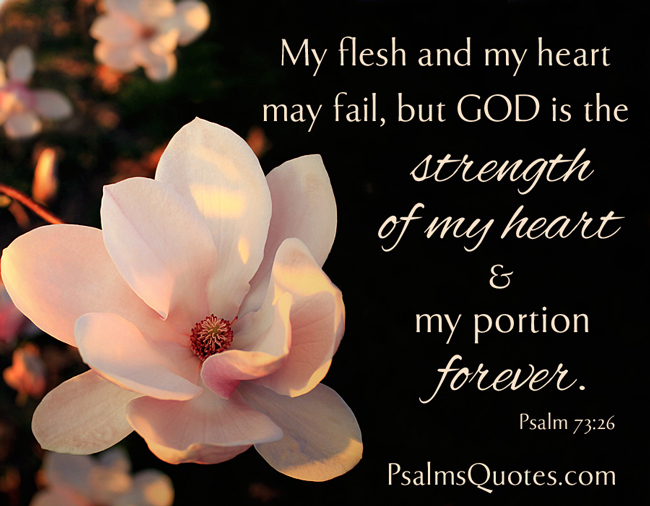 Bible Verses from the Book of Psalms to sustain, strengthen and comfort us in times of sorrow and physical or spiritual suffering. 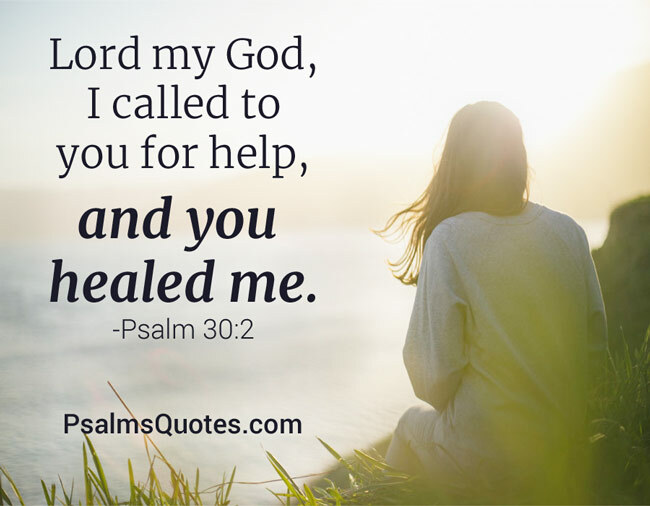 After the verses from Psalms are 10 more top inspirational bible verses on healing. 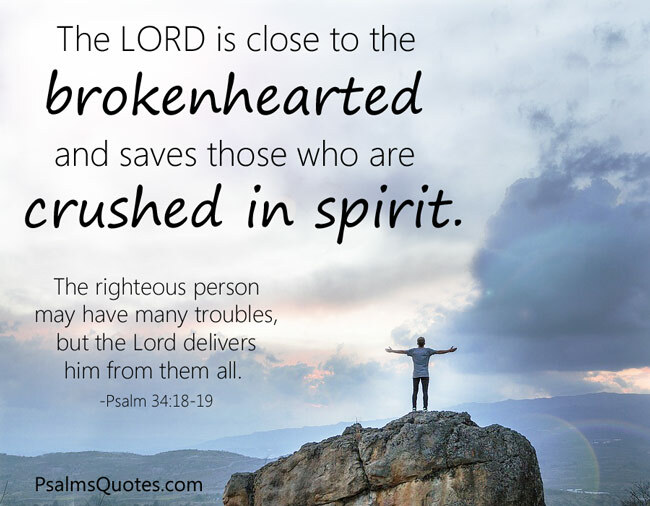 18 The Lord is close to the brokenhearted and saves those who are crushed in spirit. 19 The righteous person may have many troubles, but the Lord delivers him from them all. 9 Be merciful to me, Lord, for I am in distress; my eyes grow weak with sorrow, my soul and body with grief. 14 But I trust in you, Lord; I say, “You are my God.” 15 My times are in your hands. 1 Blessed are those who have regard for the weak; the Lord delivers them in times of trouble. 2 The Lord protects and preserves them— they are counted among the blessed in the land— he does not give them over to the desire of their foes. 3 The Lord sustains them on their sickbed and restores them from their bed of illness. 5 When hard pressed, I cried to the Lord; he brought me into a spacious place. 6 The Lord is with me; I will not be afraid. What can mere mortals do to me? 7 The Lord is with me; he is my helper. 7 He upholds the cause of the oppressed and gives food to the hungry. The Lord sets prisoners free, 8 the Lord gives sight to the blind, the Lord lifts up those who are bowed down, the Lord loves the righteous. 2 Have mercy on me, Lord, for I am faint; heal me, Lord, for my bones are in agony. 3 My soul is in deep anguish. How long, Lord, how long? 4 Turn, Lord, and deliver me; save me because of your unfailing love. 19 Then they cried to the Lord in their trouble, and he saved them from their distress. 20 He sent out his word and healed them. 1 Hear my cry, O God; listen to my prayer. 2 From the ends of the earth I call to you, I call as my heart grows faint; lead me to the rock that is higher than I. 3 For you have been my refuge, a strong tower against the foe. 4 I long to dwell in your tent forever and take refuge in the shelter of your wings. 17 Relieve the troubles of my heart and free me from my anguish. 18 Look on my affliction and my distress and take away all my sins.